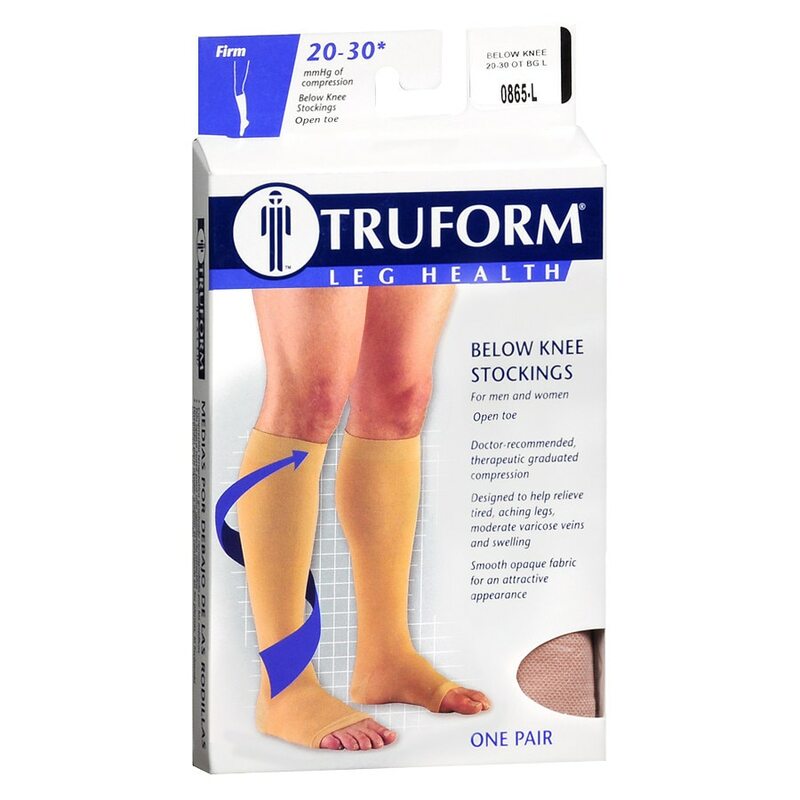 These medical-grade stockings utilize graduated compression technology to help restore leg health - ideal when sitting or standing for long periods. 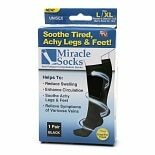 They help provide relief from tired, aching legs, uncomfortable swelling, moderate varicose veins and other related conditions throughout the day. 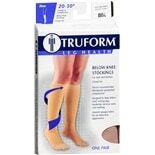 The open toe design accommodates a variety of foot lengths and allows for easy toe inspection. 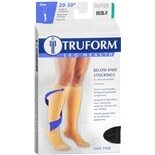 Knit-in, defined heel pocket provides added durability and easy stocking orientations for a proper fit. Traditional smooth, opaque texture and neutral color helps conceal blemishes.